The doggy paddle comes naturally to canines, but not that naturally. Dogs have different strokes, and some pups -- specifically those with shorter legs or smaller paws -- need a bit of practice to become strong swimmers. 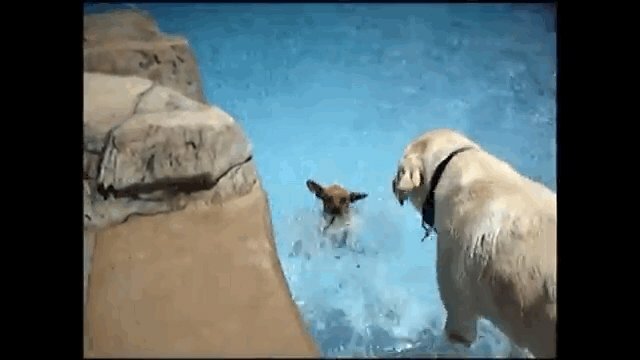 The chihuahua in this video tries to get the hang of paddling while a Labrador retriever watches from the sidelines, looking fully prepared to jump in if necessary.